Here at La Metairie we take pride in the quality if our holiday homes, prefect for a romantic getaway or a family holiday. In a friendly and relaxed atmosphere, each cottage offers well quipped kitchens, tastefully furnished oak beamed living areas with wood burning stoves, T.V. and DVD players, comfortable bedrooms some en-suite. All cottages have their own patios or garden area with garden furniture and BBQ. La Metairie is prefect for young families having large garden areas and secure designated play areas situated away from driveways and carparking for their entertainment modern swings and slides, a tree house, a 'school' house with blackboard and play kitchen. Play hut with pool table, table football and table tennis. And most importantly our securely fenced key accessed heated swimming pool has a well equipped sun terrace to relax with a book or sunbath. Pluvigner our local town, is just a short drive away with traditional shops, restaurants, banks and supermarkets. A delightful short drive through quiet countryside takes you to superb white sandy beaches of Carnac, or to Vannes a medieval walled city and the enchanting market town of Auray with itís port side cafes. For the energetic there is nearby an 'adventure forest'; horse riding, golf, cycling, and forest walks. If you want to take in the local nightlife babysitting is available - tariffs available on request. However you dream of spending your day, be at an energetic sport or leisurely pastime, choose La Metairie and Cottages, you can be sure of a warm welcome. Pets Welcome - Excluding July and August. Nous avons passé une semaine exceptionnelle ! Ce gîte est parfait pour des vacances en famille : c'est très calme, le parc mis à disposition est magnifique et très bien équipé ! La piscine est top ! A quelques kilomètres de superbes plages de sable. Relaxing escape in the French countryside. Our third visit in 12 years to this gite was in June this year, we found it even more beautiful and tranquil than before. The owners, Joanne and Adrian are extremely friendly and helpful offering recommendations for places to visit and restaurants. Excellent heated pool and large well maintained garden with play area. New large, well equipped kitchen. Lounge has Sky TV and DVD player. 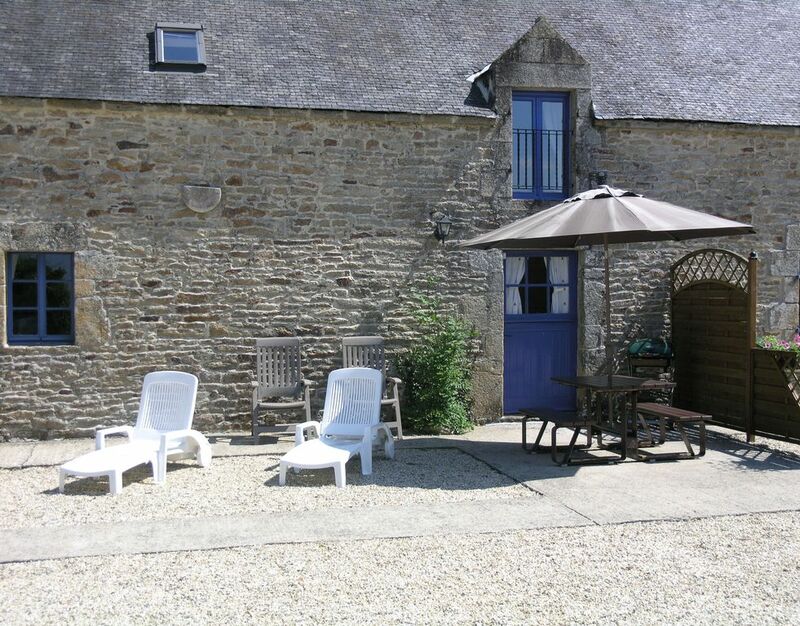 Only 30 minutes from the coast including the beautiful Gulf of Morbihan. We enjoyed wonderful fish meals in Carnac and Quiberon but we especially recommend La Table de Jeanne opposite the Fish Market in Vanne. Au Coin de Feu is a 2 minute drive from the gite and we enjoyed an amazing bbq steak in a pretty outdoor setting. We have booked again for next year. The property was perfect for our needs with the added bonus of an outdoor pool and toys for our 3 year old to use. The location of the property was great, in a lovely quiet rural setting but only a 5 minute drive into town for all our shopping needs. We would certainly recommend these cottages to friends and family and we are hoping to head back next year, if there's availability when we come to booking. Really enjoyed our stay. The property was very clean and well maintained and the owners were friendly and on hand to deal with any queries. The garden was very spacious and well equipped with play equipment for the kids and the pool was great also. Went here with our 2yr old and 4yr old. Clean cottage with fantastic outdoor playground and the pool was lovely. Day trips to auray and vannes were easy and beautiful. We were 17 strong so took the entire site (all four gites) and had a great time enjoying all the safe space and facilities. Owners supportive without being on top of you, nothing too much trouble for them.. All better than we expected and the trips out were very interesting and entertaining for all (73 down to 6) Thought about going out to dinner but so enjoyed the BBQ that we eat in most nights! Would highly recommend the site and facilites.